VATICAN CITY (CNS) — The Vatican has released a document that establishes norms and principles for women who dedicate their lives as consecrated virgins and their place in the life of the church. “The instruction on the ‘Ordo virginum’ (‘Order of Virgins’) intends to respond to the requests that numerous bishops and consecrated virgins in these years have presented to the congregation for consecrated life regarding the vocation and witness of the order of virgins, its presence in the universal church and, particularly, its formation and vocational discernment,” Cardinal Braz de Aviz said. Consecrated by her local bishop, a member of the order of virgins makes a promise of perpetual virginity, prayer and service to the church while living independently in society. The publishing of the document, “Ecclesiae Sponsae Imago” (“The Image of the Church as Bride”) comes two years ahead of the 50th anniversary of the promulgation of the renewed “Ritual for the Consecration of Virgins,” an ancient rite in the church that fell into disuse in the years before the Second Vatican Council. “Since this form of consecrated life was reintroduced in the church, there has been a real revival of the ‘Ordo virginum,’ whose vitality is evident in the rich variety of personal charisms placed at the service of the church’s development and of the renewal of society in the spirit of the Gospel,” the document stated. “The unique element of the ‘Ordo virginum,’ which distinguishes itself from the Institutes of Consecrated Life, is that the charism of virginity is harmonized with the charism of each consecrated woman, making room for a great variety of responses to vocations, in a creative freedom that demands a sense of responsibility and the exercise of a serious spiritual discernment,” Archbishop Rodriguez said. The document’s second section, he added, deals with the pastoral duties of bishops in fostering and nurturing the vocation of consecrated virgins as well as their role within the diocese. While rooted in their diocese, consecrated virgins are not confined to it and instead “are opened to the horizons of the universal mission of the church” in other dioceses, bishops’ conferences and the universal church,” Archbishop Carballo said. Finally, the third section of “Ecclesia Sponsae Imago” details the discernment and formation of women who choose the life of consecrated virgins. 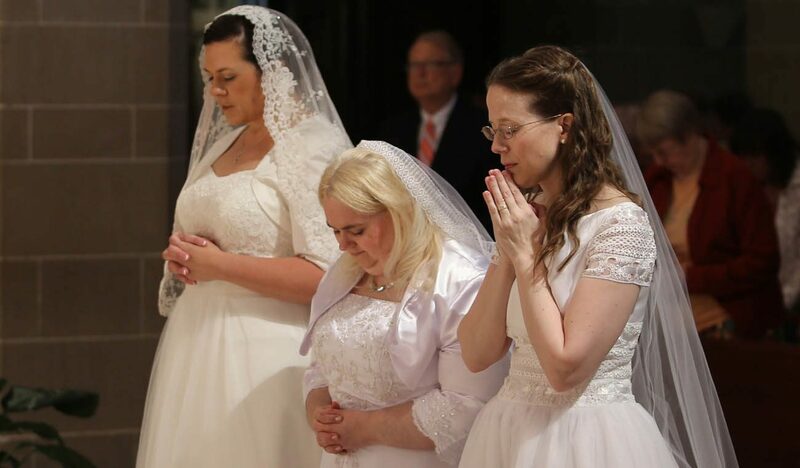 “Reproposing this way of life in the church may seem as an anachronism, but it is an act of trust in the action of the spirit, who is leading many women to accept and interpret this vocation in the light of the path fulfilled by the church over the centuries and according to the needs of the current historical context. It is a true path of sanctification that is fascinating and demanding,” Archbishop Carballo said.